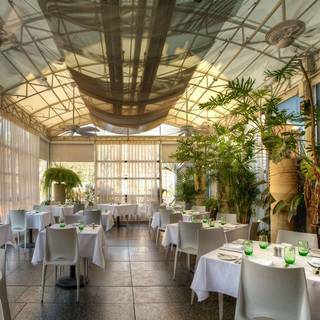 Unlike many high-end restaurants, Majorelle exudes a light, upbeat, and colorful interior, with plush banquettes and magnificent flower arrangements. Although it does not offer a tasting menu, just a single three-course prix fixe, we were not disappointed. The menu was very strong on vegetables and fish, as well as some uncommon meat choices, with extensive options under each section. Deserts were excellent, prefaced with a palate cleanser and followed by a collection of petits fours. 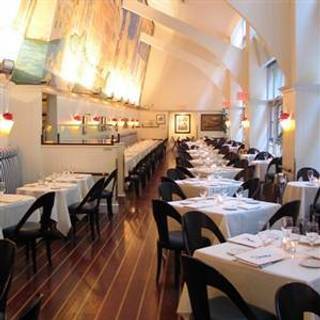 We always have a wonderful experience at Boulud Sud, and the last was no exception. We were concerned that the pre-theatre menu might be limiting, but instead, everything was just wonderful. 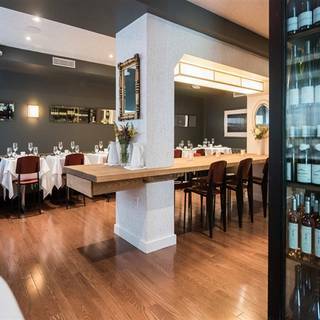 Generally, the food is innovative and tasty, the accommodations comfortable - we always opt for the banquettes - the room long and high-ceilinged, the wine offerings excellent - we only order wines by the glass so cannot vouch for its bottles - and the service attentive. 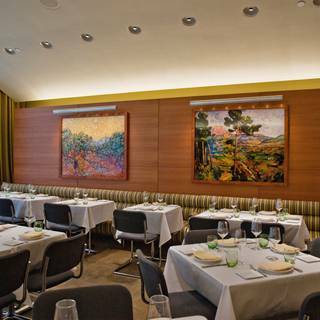 Part of the Met Breuer, the restaurant offers a stopping point before or after exhibits, of simply for a nice lunch in an attractive environment. 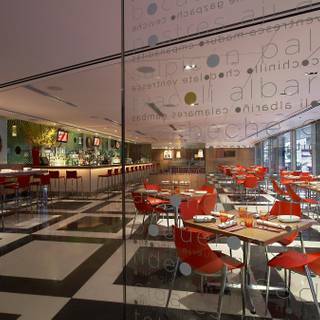 It offers high ceilings, casual seating, in addition to a dining room with indoor and outdoor tables. It is scenic in a non-traditional way, attributable to its quirky layout, being both underground and open to the sky. The food itself is very good - I usually opt for two plates, an appetizer, and a salad - along with tea, soda, and water. The service was good, but not exceptional, although any miscoordination could have been attributable to me being inattentive. 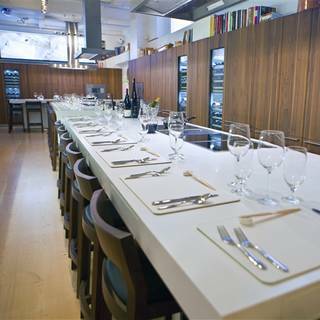 Overall, very nice high-quality but low-key dining in an unusual setting within the museum. A really wonderful experience, great food, with an high-ceilinged interior, although the very large and high mural is a bit tacky. Has banquettes, which made the seating for some of our guests very pleasant. Always have had a great time here, essentially Italian tapas, good for both vegetarians and for heavy meat eaters; a couple we eat with a like this, completely opposite, and they have a wonderful time. 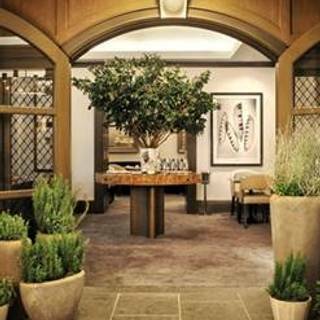 Simply, a wonderful experience, for the environment, the food, and the service. We asked specifically for a banquette that a guest needed, which are numerous and comfortable. The interior is gorgeous in many ways. The service was attentive and unobtrusive. The food was excellent but the desserts were to die for! We ordered two (2) items - one of our guests abstained - and they gave us a third, all of which were extraordinary. 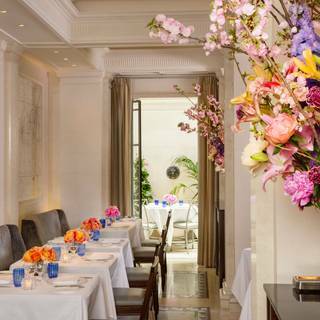 In a few words, L'Espalier is an elegant environment, with gracious service, and exceptional food. 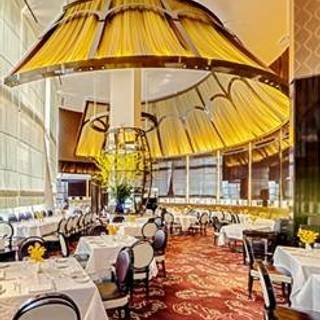 To get to the restaurant, one goes up the elevator to the second floor, and once there, are led to an open and sedate interior. 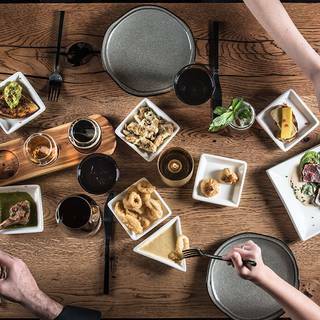 We chose the smaller of the tasting menus, 5 course without wine pairings, but when we return, we will likely go for one of the larger menus with a wine pairing. We loved the tastes, and the deserts, but it really stood out for both the quality of its service and the beauty of its interior. 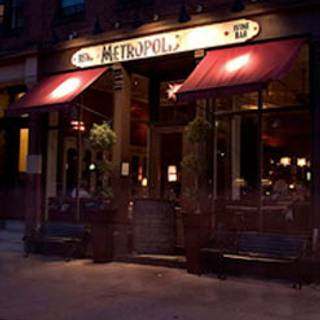 A casual Italian eatery along Newbury, we had a very nice meal, relaxed and unhurried, with a friend. The food was good - the general feeling was so-so - but I loved the eggplant rollatini. Service was lackluster, but adequate. Surprised at the mediocrity, since the reviews were so positive. We were having breakfast, and for myself, the eggs were okay, and the pancakes were thick and tasteless. I would not go back. Innovative Asian, and spicy. Loved the food, our only regret was that it was served so quickly. Would definitely go back. What a surprise! We had left one of the exhibits at the Museum of Fine Arts (MFA), and getting a bit hungry, so we decided to book here, at Bravo. Wow, what a gem! Incredibly refined interior, very laid back but beautifully laid out. The service was good, not great, but we loved the food. Very tasty. We had breakfast, as well as met a friend here for drinks, as we were staying at the Mandarin Oriental. 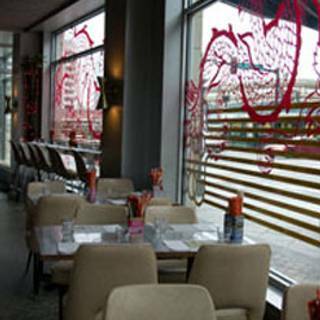 The interior is crisp and new, the service was attentive, and the food, as well as the drinks, tasty. 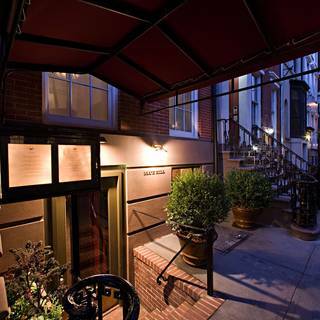 We chose this for our first night in Boston, and a place to enjoy with a friend. I was very happy with the food, and found all of it very tasty. The wines we had all went down smoothly. No complaints. 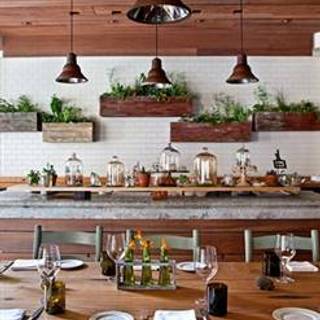 It's not the high end, as are many of our restaurants when traveling, but it's a fun place, with wonderful and innovative food, and a gritty, energetic ambiance. Overall, we enjoyed a wonderful experience. 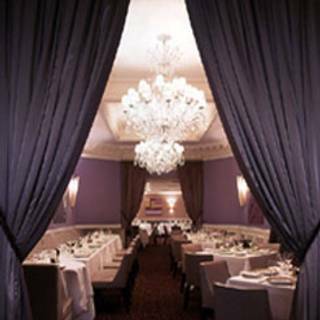 The interior is expansive and high ceilinged, the settings were luxurious, the service was impeccable, and the food was extraordinary. We opted for the five (5) course tasting menu, that included several amuse-bouches, and our dessert was capped with several plates of additional chocolates and biscotti, all accompanied by house drinks and wine, all excellent. 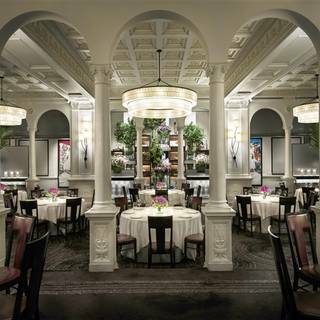 To note, considering other high-end places, I found the special touches at Del Posto put it a notch above many other fine establishments. Our entry was to an art-filled, distinctive interior design with a soaring ceiling, very sedate. The service was attentive, and entertaining as well, as we had a lively conversation with our head waiter. Overall, the food was excellent. My meal started with an amuse bouche, progressed to a vitello tonnato (veal) appetizer, a gnocchi with short-rib entree, a side of fried artichoke - this was one of the best I've ever had, although a bit salty - and finished with a chocolate dome. I was very happy with all of it, and thrilled by most of it. A great meal. 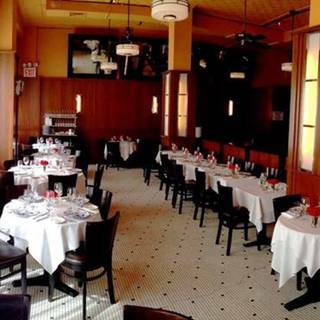 We have eaten here before, often for special holiday get-togethers, and have always had a wonderful time. The menu, as always, was varied and tasteful, with a wide variety of options. They seem to have an extensive wine list, although we only had wines by the glass, and very tasty. 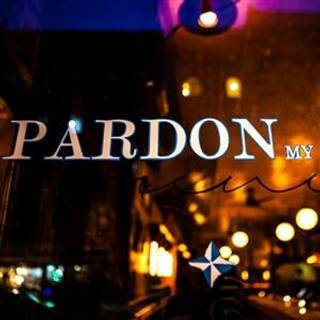 The staff was attentive, and although our main server ignored us a bit, I believe this was an aberration, as otherwise, the service we excellent. Gramercy has been touted a long time by others, so we decided to give it a try. 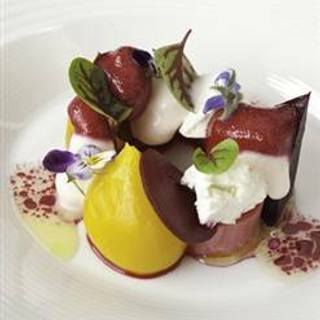 Overall, an excellent meal - we typically opt for tasting menus to make comparisons easier, as well as to have an exceptional experience - with very good service. There were minor lapses, like initially being seated near a service area, but changed after we complained, and coffee service that came after the dessert was provided, but again, complained and it was quickly rectified. 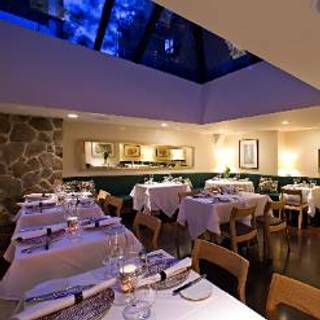 We usually enjoy Park Avenue as a couple, but for Christmas brought a somewhat picky guest, and although it was a prix fixe menu for the holiday, we had no problems finding dishes each of us would would like. 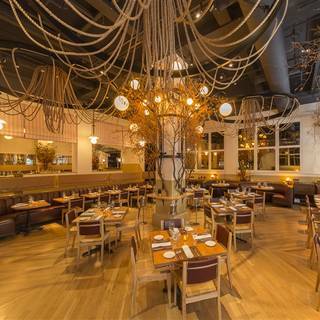 The highly decorative but tasteful environment is fun to dine in, the service was attentive - just a few seconds of me head-turning looking for our server brought over the manager - and the food was excellent. For us, it has always been wonderful. Meeting a friend before he left for Colombia, with a strong preference for Beefeater, I chose this from several notable gin joints. The experience was mixed. Being the Christmas season, there was caroling in the lobby, great for the people that wanted it, but terrible for drinks with a friend. It eventually ended making conversation easier and allowing us to relax in the ambiance of the place, both luxurious and sedate. The drinks and the food menu seemed innovative, but we were unhappy with most of the concoctions, other than the straight up gin and tonic. The food was passable, but not particularly good, and the best part of the meal was the Chocolate Crunch dessert, which was absolutely wonderful. This is an easy choice for my spouse when meeting friends, a small, well-done restaurant serving French-style cuisine. The food is very good - I personally have had mixed reactions to the flavoring of some meals, but my spouse's friends have always enjoyed it - the only drawback is that the space is rather tight. It's is easily the best meal we had while in Lake Placid on a vacation weekend, up from Manhattan. 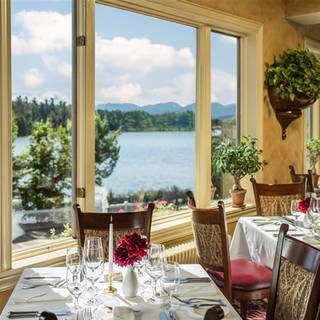 The combination of open lakeside view, excellent food, and attentive staff made for a wonderful meal. 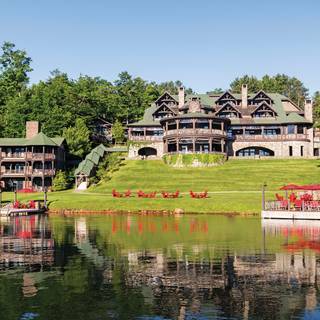 We've stayed at The Lake Placid Lodge a few years ago and and had several wonderful experiences at the restaurant, but this time we had stayed somewhere else but came for dinner. The overall feel of the restaurant is still luxurious, with wonderful wood carving and distinctive decor, and a dark and sedate ambience. We opted for a meal rather than the tasting menu, and although we enjoyed our food - my spouse had the harvest salad and halibut entree, and I had the field greens & boar entree - nothing was perfect, merely okay. It ended on a finer note, the s'mores dessert being very good. 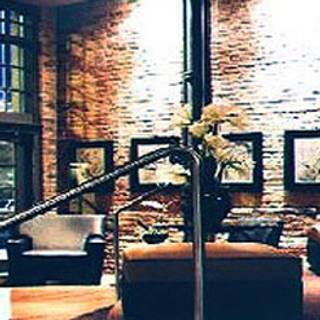 The service was attentive and accommodating, and although we have had better service, it seemed a bit lackluster. Although I have at times sat outside to have drinks and tapas with work colleagues, or in the lower area inside to have dinner, again with colleagues, this was upstairs in the more formal dining room, and again with colleagues, a software development team. 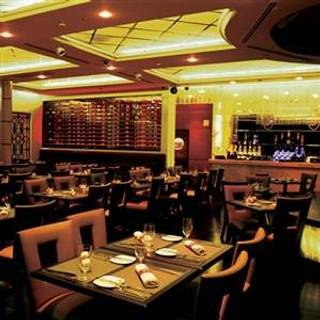 We did not have drinks, and overall the meal was excellent, the food very good, and the service adequate. The bread was the only deficient aspect of the meal. Overall, very good, with some minor deficiencies. 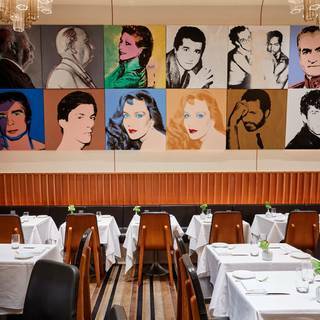 Obviously, Casa Lever is highly rated, located in the iconic Lever House off Park Avenue, with a retro 60's interior, modern Warhol's, and a slew of comfortable banquettes. On weekends the restaurant is less full, and arriving at 6 PM, we were able to get a spacious corner booth. The food was from beginning to end wonderful, with the drinks and wines offered equally excellent. I would heartily recommend our menu choices. My spouse had the spinach ricotta gnocchi (GNUDI) and the pan-seared wild skate wing (RAZZA). I had the organic egg salad (CRISPY ORGANIC EGG), the baked eggplant (PARMIGIANA DI MELANZANE), and the osso bucco with saffron risotto (OSSOBUCO ALLA MILANESE). The service was excellent, and our conversations with the staff engaging. We had a wonderful time, and will return more regularly. 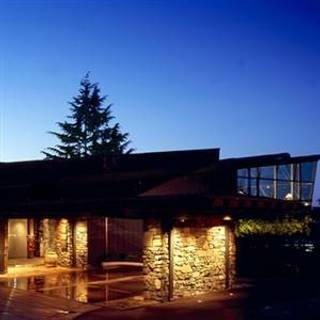 An outstanding venue, with excellent service, food and view, but our experience was marred somewhat by a long wait for an order correction and for less than ideal seating. 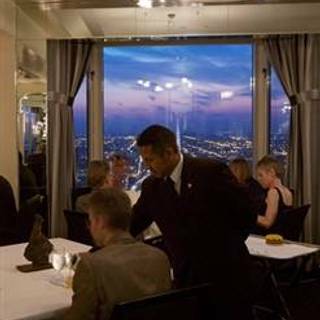 The view is extraordinary, overlooking Seattle from a ridge, and although we did ask to get moved to a better table, they said they did not have any available, untrue but typical. 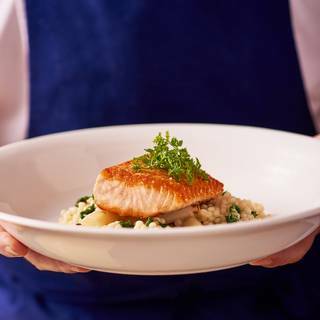 Generally, the service was excellent and attentive, but my spouse waited an excessively long time for her corrected undercooked fish - they cooked her a fresh fish dish - and I finished my meal before she could start her meal. 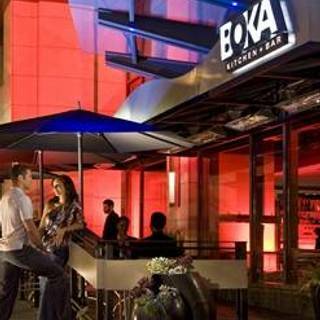 BOKA is the restaurant for the hotel we stayed in, Hotel 1000. 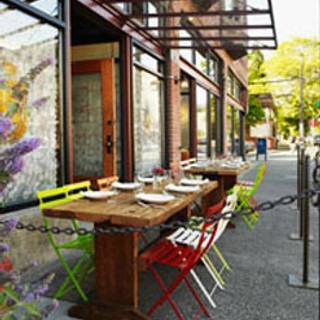 We had our first Seattle meal here, after flying in from NYC, and it was decent, and somewhat innovative. The breakfasts were better, where we found healthy, and preferably plainer fare. Service was acceptable. We were drawn to have lunch here by the soaring, unique interior, and by the positive remarks of others. We opted for salads each and a shared margherita flatbread, and were happy with our selections, and felt that the meal was generally healthful. 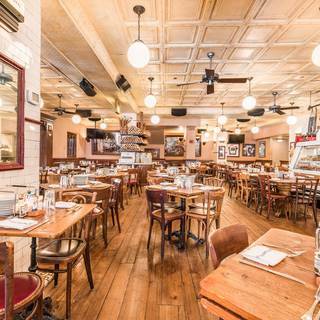 Overall, we had a very enjoyable meal at this small place, a bit out of the way in one of the trendier areas - kind of like the LES in Manhattan - with excellent, novel Italian dishes. I had the Agnolotti di melanzna (Eggplant and anchovy agnolotti with peperonata and parmigiano) and the rabbit meatballs - everyone raved about this. Regrettably, we did not have desert. Lovely. Not particularly expensive, my spouse and I agreed that this was one of the best meals - we had lunch - we had in our 4 day vacation in Seattle. 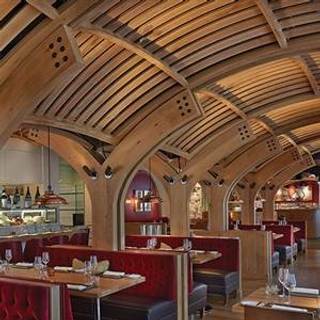 The food was exceptional but not extravagant, and the interior was incredibly open, with soaring ceilings and glass. Alas, their limited menu meant that our visit was a one time thing, unless we went back for dinner. The interior is a lovely mix of old-world style and modern aesthetic, something novel, from the apple-lined atrium, the scented second atrium, and the gorgeous highly-textured dining area. We opted for a tasting menu, although my spouse needed to substitute as the first course was not to her liking. Overall, the meal was excellent, the service was attentive, and the desserts were heavenly. 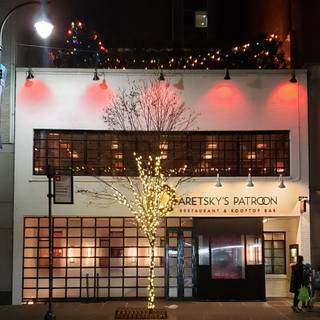 For years, I have wanted to try Aretsky's Patroon, and since my spouse had a free day from a cancelled vacation, we decided to meet for lunch. I was expecting a good meal, but pleasantly surprised by some of the best tasting food in recent memory. I would definitely recommend the dry aged burger. Done well, it was the best burger I can remember having ever eaten. We had other items, and all were excellent. Service was very good, attentive. The only less-than-excellent quality was the interior, fine for the business crowd, but not so much for couples dining. We have eaten here before, and have always had wonderful experiences. On this occasion we were celebrating a bonus and promotion. We ate a bit early, at 6:30 PM, and were seated immediately. The cuisine, I believe, tends toward the northern Italian. Everything was wonderful, particularly the eggplant soufflé. As for the rest of the meal and wine, we were very happy, with no complaints. Service was attentive. 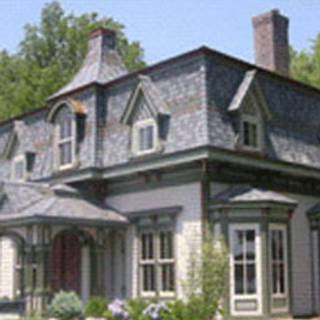 The interior is modern Italianate, with numerous glass elements. The bill was reasonable, considering the quality of the food. We chose the smaller four (4) course tasting, and they did have large chef tastings. They are flexible about selections, in that I wanted two (2) selections from one menu area, and none from another, which they accommodated. They are sensitive to allergies and dislikes. Service was attentive and congenial. Food was excellent, and included several amuses and cleaners, and they even gave us extra dessert. All-in-all, a wonderful meal. 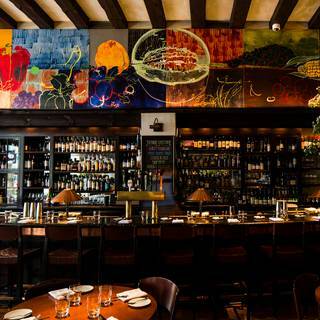 We are accustomed to excellent, higher-end restaurants of Manhattan, and were disappointed with our meals in Philadelphia, but Talula's was a welcome respite. We did not opt for the tasting menu, as my wife did not like all the dishes, but a la carte I ordered the pear salad, the duck breast entree with a side of grits, and a caramel bar dessert, while my spouse had the parsnip soup - I loved this - blackened chicken, and the banana maple mousse. We loved all of it. The drinks were fun, and the service was attentive. Our only issue, albeit minor, was our initial seating was next to a loud group of 6, and although it was near a front window that soared 20+ feet, with gorgeous original detailing on the walls next to us, we had to ask for another seat. This is a loud place with many groups, so be mindful of where you are placed. Our experiences in Philadelphia were underwhelming, and we chose this for lunch because it had high review numbers. It did not measure up to the 4.5 it was given, but it was definitely a decent meal. My spouse disliked her pizza - it was a bit on the doughy and soft side - but the rest of our meal was good, and certainly enjoyable. 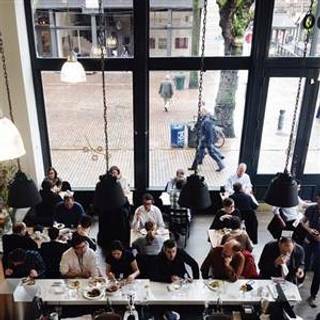 Popular, but busy and noisy with merely okay food. The sevice was the most irritating. We reserved weeks ahead of time, and when we arrived early, we were asked to wait so we could get a good seat. Our reservation arrived and we got seated next to a service area. We asked for something else, but the only other seats we equally mediocre. The severs themselves were helpful, and the food - I had the mushroom tart and the scallops - was good to okay, respectively. 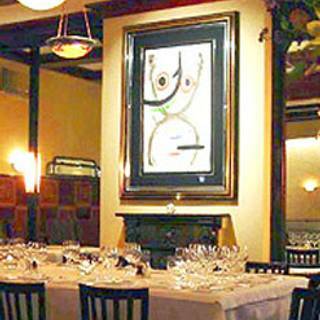 We have been going to Artisinal for several years, but our recent visit, treating a visiting friend to dinner, was the best so far, although the prices seem to have gone up sharply. Maybe, we just made better choices, but we sincerely loved each dish. The service was a little haphazard, at least from our primary server, but tolerable. 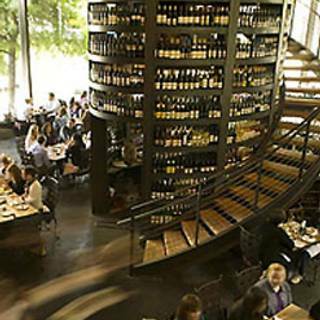 The exterior is lovely, but when we first walked in, I was surprised; it seemed unlike other high-end restaurants. The interior, while somewhat austere by comparison, is very quiet, with an abundance of fresh flowers and original art along the walls. Overall, the service was excellent, attentive, but unobtrusive. The meal started with an amuse bouche, and became more wonderful, particularly the entrees and dessert. My feeling is that the first course or two were good, but not great, although the later courses and the environment made for a wonderful experience. 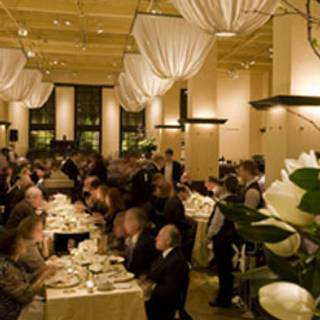 We were visiting the Driehaus Museum, and this one was one of the better eateries in the area; it had no ratings on Google, but good nunbers on OpenTable. It worked out very nicely for us, and likely better than the other casual dining spots in the area. The menu is tapas-like, and I opted for the tomato soup and then spuntino, one of peppers and the other an eggplant mix. My spouse had the shaved vegetable salad and the cavatelli. I enjoyed mine very much, although the peppers were heavily oiled. My partner enjoyed hers as well, and raved about the salad. The restaurant is down a somewhat closed, quiet off street, and inside opens to a large art-filled space. The music tended to a very relaxed retro-R&B, a great mood setter. 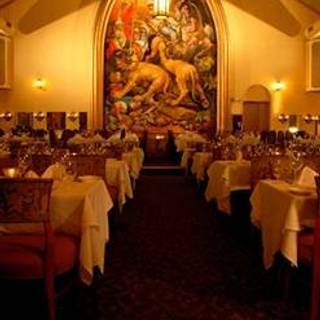 The service was very good and attentive, and our waiter was both knowledgeable and very helpful. The food was really excellent and innovative, but regrettably we did not have desert. This seemed promising, but we were disappointed in most of the meal. The artichoke, the gnudi, and the lamb meatballs were mediocre, but the Chicken Milanese and the heirloom tomato soup were good. The waiter was either distracted or ignorant of the menu, as his responses to our questions were poor. Metaphorically, it was a climb getting to Everest, buzzed through via security, up one bank of elevators, switching to another bank, and then following signs to the doors, but the trek was certainly worth it. It is an elegant setting for couples and groups, with expansive views of West Chicago, and with service that was attentive and accommodating. For dinner, of the three options, 3-course, 4-course or tasting, we chose the 4-course, and were happy with all of our dishes and dessert, as well as with the amuse bouche and intermezzo. 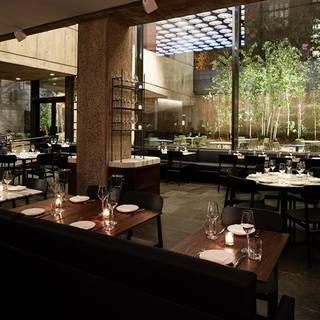 We stayed at the Park Hyatt for several days, and were happy to be able to reserve NoMi for the date of our arrival. Our waiter, Tom O'Malley, definitely made dining an exceptional experience. The food was excellent, not outstanding but better than very good. My spouse and I were both very happy with our appetizers, greens and salmon tataki, respectively, and halibut and porcelet for the main course, with a shared potato mousseline. We were comped deserts, which we enjoyed very much, although our own choices might have been somewhat different. We have eaten breakfast here was well, and have been very happy with the service, view, and choice of food. The view is from large glass windows overlooking Michigan Ave and The Water Tower, with Lake Michigan in the distance. This was our second time at Juni, and since we went with the large tasting menu, the meal was extraordinary. 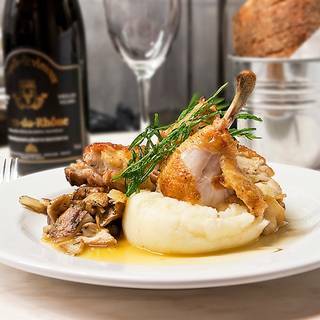 Initially, the servers were attentive, the choices innovative, extensive flexible and delicious. The only problems were timing issues near the end of the meal, when the restaurant was full, while waiting for the coffee for my dessert, and afterwards while we waited for the check; in the latter, the apres desert dish was prepared. Otherwise, it was perfect outing. Went there last night with four friends, We ordered a bottle of wine and a number of apps to share. Everyone loved the food and had a great time. 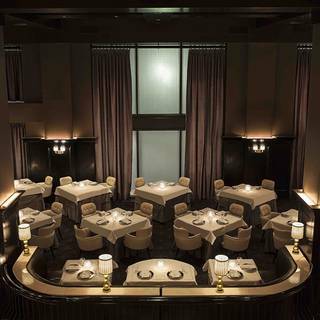 My spouse and I recently took a friend to Buddakan - it was my first time as well - and generally loved it. 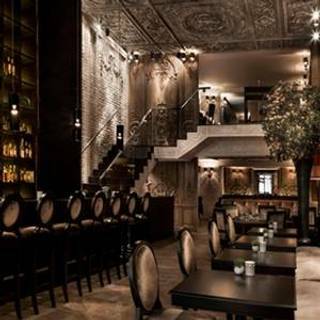 The space we sat in had 40' ceilings, and a very luxurious and dark interior. It was certainly a pleasure to just sit there. Service was excellent and attentive. The food was very good, although ranging from excellent for the variety of appetizers and shared plates we enjoyed, to simply so-so for the meat entrees. The latter still had exceptionally tasty elements, it was just the texture of the meat was less than ideal. Overall, a great experience. 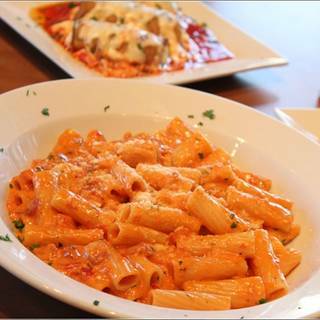 This is a favorite for our informal weekly family get togethers, and our last visit was very enjoyable. The service was accommodating, and we all raved about the appetizers, in particular the imam bayildi and the marinated artichoke. The cost, with wine, was very inexpensive by Manhattan standards. The only downside was the large number of children at one table. The restaurant seems to change with the seasons, although this was our first visit, early on New Year's eve. 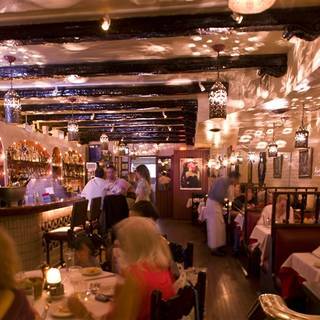 The interior was interesting, with many spaces carved out for intimate dining, and we were lucky to get a corner booth. Service was attentive and engaging. The food was excellent. Almost all the items we ate we found exceptional, except for the table bread. That evening, for appetizers, we had the Roasted Butternut soup with Lobster Crouton and gnudi - my wife ordered the dish from the menu and I had the gnudi special with truffle. For entrees, I had the duck while my wife had the Dover sole special, the latter being highly recommended. I sampled it and it was the best fish I could remember eating. It was extraordinary. We also had a side of latkes, which was tasty. Our dessert, capping the meal, was the Cube, a delectable mix of chocolates, along with very good coffee. As always, our last meal was wonderful. We opted for the seven-course tasting menu, which they will customize as per your preferences. The service was unobtrusive, but attentive. A particularly good restaurant for us. Most of the choices we made were excellent, and some surprisingly so. One, a corn chowder unlike the usual pedestrian corn chowders, was really extraordinary, as was the fried artichoke appetizer. The only sour note was that my spouse's berry cake had very few berries; a minor point, but very disappointing to my wife. Overall, an excellent meal. 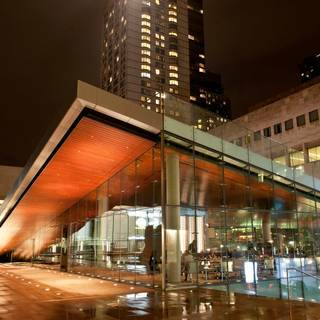 Located conveniently off the square at Lincoln Center near the arts centers and across the street from Juilliard, we found the glass-walled restaurant excellent and accommodating. I opted for the tuna salad appetizer, a big eye tuna main dish, an eggplant, and squash parmigiana side, and for dessert had the Cassata Sicliana, a wonderful gelato and sorbet 'cake' that I highly recommend. My wife had the Sicilian lettuce salad and the gnudi main course, but skipped dessert. My wife spied an Aperol mixed drink, one of her favorites, and the hostess noting this recommended the Cappelletti Specialino Aperitivo, while I had the Manhattan. All in all, it was a wonderful meal with excellent service in a relaxed environment. 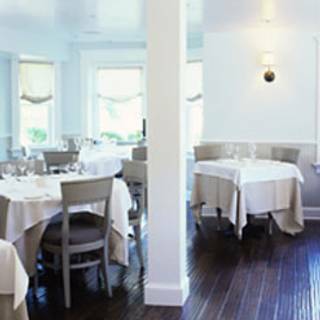 We generally choose tasting menus at restaurants around NYC, and we had previously eaten at Mas (farmhouse) and loved it. We chose Mas (la grillade) expecting a wonderful experience, chose the tasting menu, but found the food and presentation lackluster. Other than the dessert, none of the courses of the seven (7) course tasting were exceptional, although none were bad either. We did have a selection of wines, and found the recommendations from the server very enjoyable. We have eaten here five to ten times over the past few years, and almost always it has been wonderful. The rare occasion it was not had to do with near diners, not the restaurant. For this evening, we treated a friend and ourselves to a 7-course tasting menu. I cannot say enough about how wonderful and varied the food was, but everything, for each of us, was just wonderful. As a minor note, we had mixed drinks instead of wine, and I would heartily recommend trying the Thinking Man's Man, a wonderful whiskey-based drink that seemed a perfect accompaniment to every dish. We have eaten at numerous, high-quality establishments in Manhattan, I would judge this to be comparable. We loved the decor, the location was a walk from our cabin overlooking Lake Placid, which during the day is quite beautiful, and the food, along with the service was excellent. Although we are not oenophiles, we very much enjoyed the wines and drinks, and the selection is extensive. As a pleasant aside, children under 12 are not allowed. Overall, a wonderful and relaxing time for us, with exceptional food. 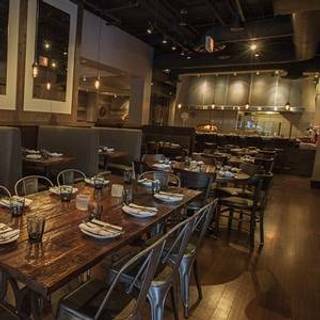 Tocqueville remains one of our favorites, a relaxing environment with 30 foot ceilings and sedate lighting, attentive and accommodating staff, and an excellent menu with ala carte and multiple tasting menus. It is a passable restaurant with okay food. 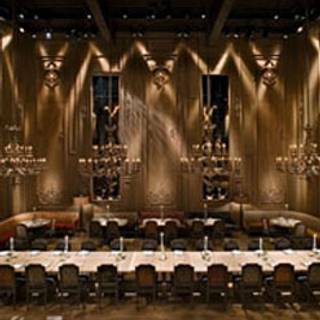 We have eaten here twice, several years apart, and although the environment is memorable, inside a former church, possessing a huge cathedral ceiling, the noise was cacophonous. We enjoyed our food, but none of it was especially good or tasty. The most positive aspect was the service, which was attentive. I imagine the restaurant would be best for outgoing groups that want to drink. The pictures of the restaurant seen via OpenTable do not do it justice, and we were happily surprised by the spacious, modern and quirky interior. The service was attentive, and the food overall was very good. My spouse had more to pick at - she found her salad over-salted - but her salmon was exceptional, and my chicken was very good. The only strong negative was the surprise cost fo the salmon special, $40, which was not told to us beforehand. In many finer establishments, the waiter will tell you of the costs of the specials, even though the expense is trivial and most patrons are cost-insensitive. Other than that one surprise, we had a very enjoyable meal and time at Marcony. Three of us had dinner here on Saturday night. We ordered the parisien salad, pork tenderloin, squash soup, pasta skate, and we split a creme brulee for dessert. Everything was delicious. Everything! The service was gracious and the atmosphere was cozy. We would highly recommend. 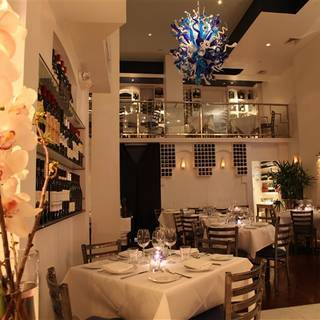 We live in Manhattan and are accustomed to excellent food and environs, and were very pleasantly surprised by Just. The reviews were excellent, but I wondered if it could just be that this being in New Jersey, the bar had been set low. The environment is well done, with a spacious, exciting interior. The provided breads were unique, with two varieties of butter. All of the appetizers (crab cake, gnocchi) and entrees (halibut, skate) were flavorful, and the deserts were exceptional (lingonberry cheesecake, chocolate pyramid, strudel). Service was excellent and attentive. We made an early reservation, at 5:45 PM, since there were no other reservations available. We arrived on time and were seated immediately. From beginning to the end of our time there, the service was excellent and attentive. We usually opt for the tasting menus at finer establishments, and in this case we chose the 5 course without wine-pairing. Overall the food was excellent and relatively plentiful, since in addition to the 5 courses, the assorted amuse-bouches and servings in between the courses, we were also treated to additional pre-course and pre-desert servings. 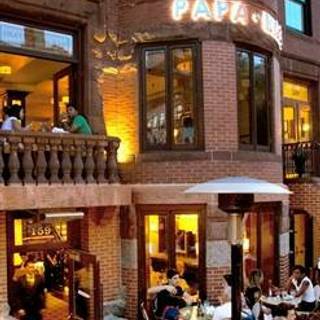 We went with another couple and had a wonderful time, enjoying the tapas-style servings. The food is very meat-oriented, but I had several dishes that will appeal to vegetarians, and one of our friends is an actual vegetarian; she had no issues with the food. Overall, we loved the large selection of foods - almost everything we tasted we loved, and even what wasn't loved was enjoyed -, and the service was consistent and attentive. We have been eating at Paola's for several years, even when it was in the East 70's - it is now on Madison and 92nd - and have enjoyed it for years, but less and less so. The food has always been good, and we have some favorites, as well as some things we always share, e.g., the artichokes. That said, we have become more and more annoyed at the feeling of being rushed, at not getting decent tables, at being asked to have chairs taken, etc. Conversely, we recently went there with some other family friends, and the husband, some who is well-travelled and cultured, declared it as new favorite of his. 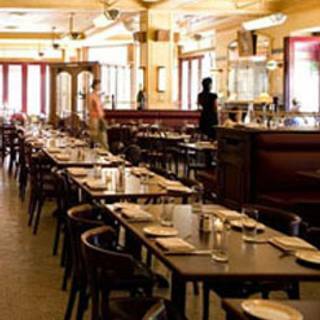 Overall, the food is very good, but we have had mixed experiences with the service. Overall, the food was excellent, but we felt that the service could have been better, and the seating was too close. - We had the tasting menu, and we were allowed substitutions; my spouse replaced a mushroom-inflected gnocchi for risotto. We enjoyed each serving. - The service was a bit haphazard, although not lacking. 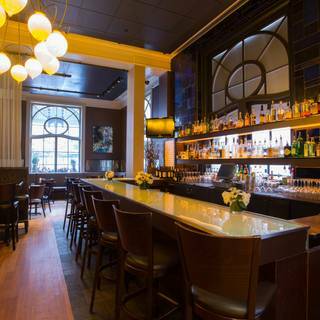 - We usually schedule meals at 6 PM to avoid crowds, but Gotham was filled by then, the seats were very close, ad the noise level was high, but not intrusive, i.e., we could hear clearly the conversations of other tables. 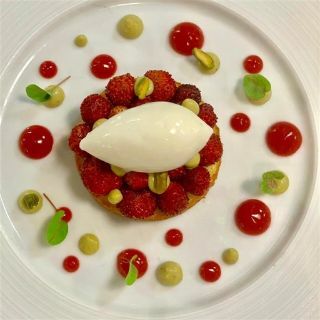 We had eaten at Bouley before, at its prior location, but wanted to go back, and to compare the tasting menu of this to Eleven Madison Park. Overall, the dinner was wonderful!. The environment is very luxurious, and to some degree, old-world styled. We thoroughly enjoyed all the components of the servings, barring one pre-desert. The menu was flexible, allowing my spouse to have two servings of one dish, since she did not want any of the selections for one of the courses, and they served the second dish of the same cooked differently - of course they asked - and it was one of the best servings of the evening. I was pleasantly surprised when we were seated in the rear area, an enclosed garden-like area, and the entire restaurant had numerous wonderful smelling flowers. We had the tasting menu, quite nice and and vegetable-laden, with a mixture of fish and chicken. The amuse-bouche was beet burgers. The server was very gracious and accommodating; we freely exchanged items on the tasting menu, for items on the menu. In particular, my spouse replaced the mullet first course with a vegetable salad, and we exchanged the milk jam ice cream for deserts on the main menu. The only criticism, which was expected and minor, concerned the small portions. 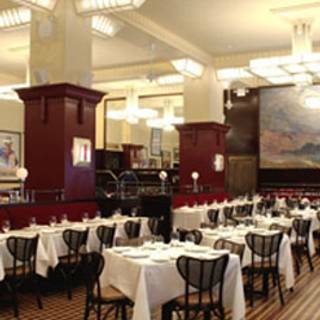 We've always had wonderful meals here, in a beautiful space, with 30' high ceilings and a subdued atmosphere. 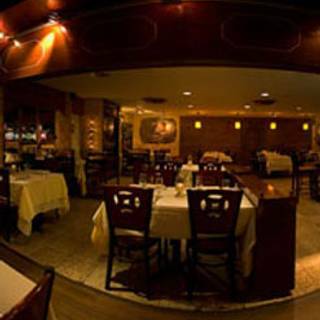 The service has always been attentive and congenial, and the food excellent. 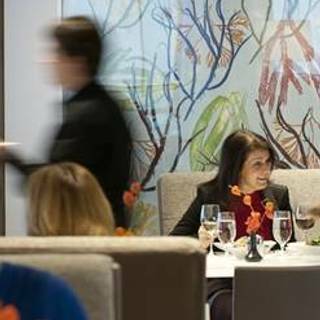 Although not an oenophile, I've noticed a strong focus on on wines, with paired tasting menus as well as time periods devoted to particular wines. Most of our experiences on OpenTable have been very good to exceptional, but unlink most occasions, I chose to be economical. My mistake. Although I was able to find a few interesting elements on the menu, a lobster salad and duck enchiladas, the majority of the food was similar to what is found at any cheap Mexican restaurant. Overall, I found the experience mediocre, the same I would have at any run-of-the-mill local restaurant. Overall the dining experience was simply excellent. I found no flaws with the food, and some aspects of what we had were extraordinary. The wine suggested by the staff was very good; we were looking for a local wine, and the white offered was one of the more flavorful ones we've had in some time. 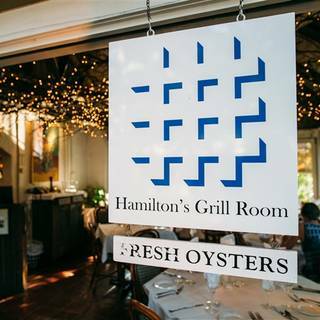 The service was excellent, and the staff was very attentive; they almost seem to have the entire service choreographed, from the moment we walked in until the time we left. My wife would describe the service as gracious, and at the end the owner/manager came out to make sure we were happy. The interior, almost entirely white, was very appealing, and made for a very romantic setting. Overall the dining experience was very good to excellent. I found no flaws with the food, and some aspects of what we had were extraordinary. The wine suggested by the staff was exceptional; we were looking for a local wine, and I can honestly say the white offered was one of the more flavorful ones we've had in some time. 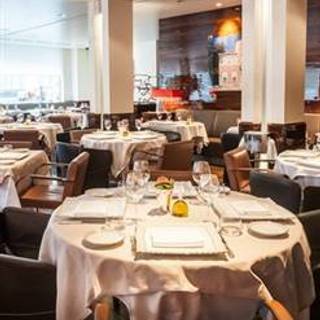 The service was very good, and the staff was very attentive. The interior, while newish and somewhat spare, had many period details and was very appealing.